We plan to honor our position at the entrance to Belle Isle with a building that strives to be as graceful as one of the city’s most cherished parks. 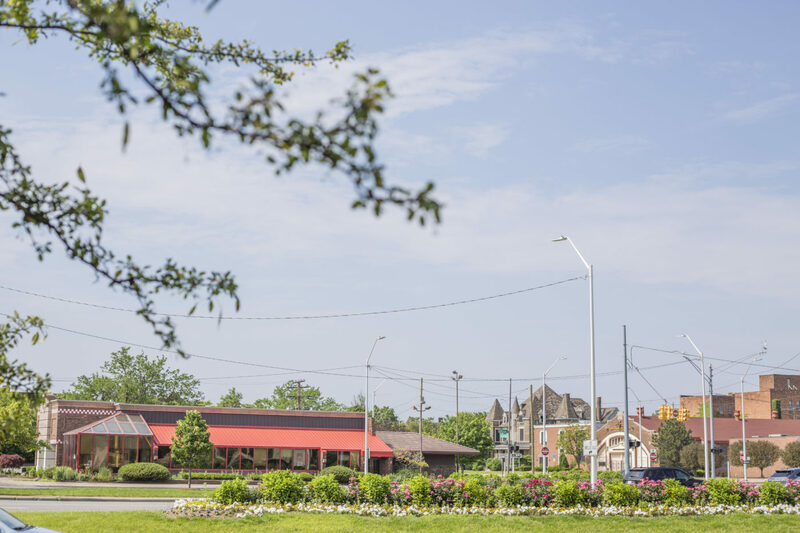 Grand Jefferson is a residential development located across East Jefferson from the MacArthur Bridge to Belle Isle – one of Detroit's most prominent recreational amenities that attracts over three million visitors annually. 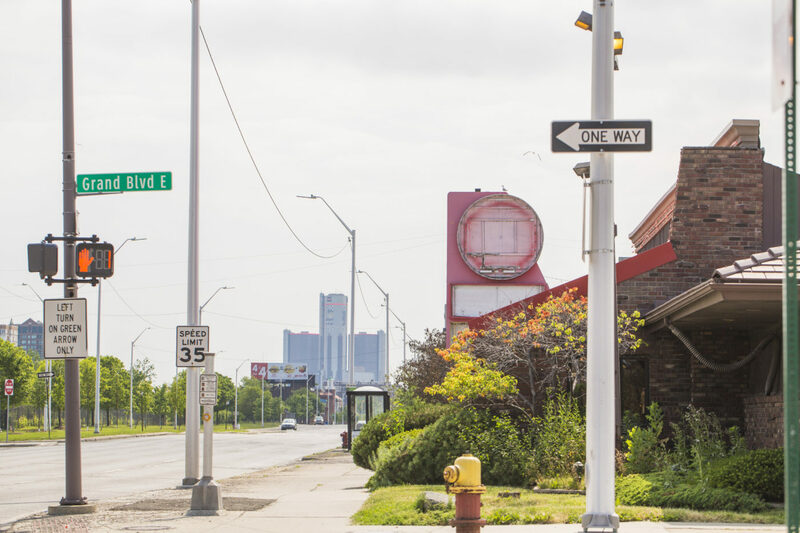 It was the site of a Big Boy restaurant for 50-years before its retirement. Our vision is for a high-rise multi-family residential development that is transformational while sensitive to its context. Future residents will enjoy clear views of Belle Isle and the Detroit River as well as access to the Detroit Riverfront from their front door. The project encourages accessibility, walkability, and biking. At the foundation of mentorship is a transparency of knowledge and practice. We choose to share our projects as they unfold – through all parts of the development process. 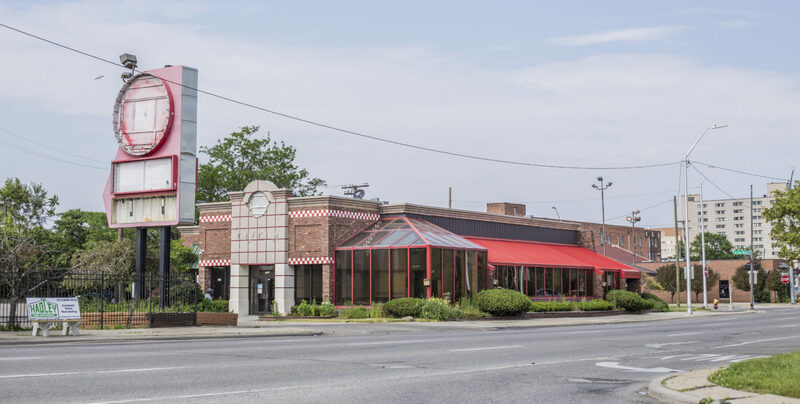 A developer sees an opportunity in an existing building or vacant land and tests possible ideas for development to determine if they should commit. The architect, along with engineers and contractors, collaborate with the developer to create a meaningful plan for construction. The general contractor physically brings the design of the architect and engineers to life. The development is promoted to potential tenants who may be interested in leasing or purchasing available units. A property-management team manages the on-going daily operations of the development and the tenants. The owner may choose to re-finance or sell the developed property. On Community Engagement: We connect to trusted anchors, like the Church of the Messiah and GenesisHOPE, and regularly attend City of Detroit eastside planning and neighborhood meetings to remain aware of larger planning efforts and to engage with as many residents and neighborhood leaders as possible. On Design Excellence: This project is both a symbolic and literal entrance to Belle Isle. The ambition is to pull the beauty of the park into the project and connect the project across East Jefferson to the park. In a city unaccustomed to building up in several decades, a high-rise project will be approached with efficient urban space planning, passive and active design strategies, and innovative construction systems in mind. © 2017, the Platform • Site by good done daily.